- Can it be used to scrape and level gravel and soil or lightly compacted? - Can the square steel tube frame be used as a ballast for greater soil penetration during plowing? 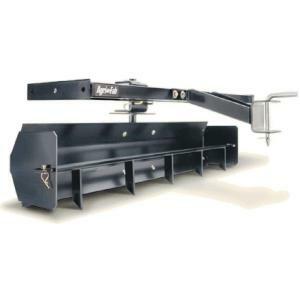 - The rear blade scraper box can convert to a rear leveling blade and can be inclined to roll dirt or snow to the side. Do you know if any Italian company produces it would be possible to build one by hand? What do you think? They can be used both during pushing and towing! Friend of mine invented this attachment system to make using a 3-point hitch easier and more convenient. 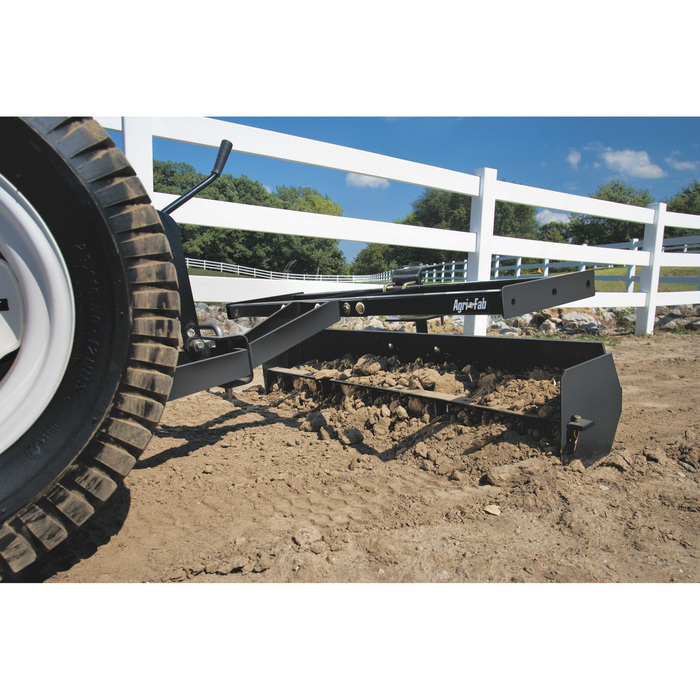 Attachments like box blades, scraper or grader blades, and Harley Rakes can be reversed easily and put on an angle as well. The system works much like a 5th wheel hitch for semi-trucks. It might be a bit expensive for you to import but I have tried it and its quite well built.